What’s happening in Kosovo is unacceptable for Euro MPs, therefore they say that they’re disappointed about the fact that the Austrian rotating presidency confirmed yesterday that it will not include the issue of visas for Kosovar citizens in the EU meeting on 6 and 7 December. 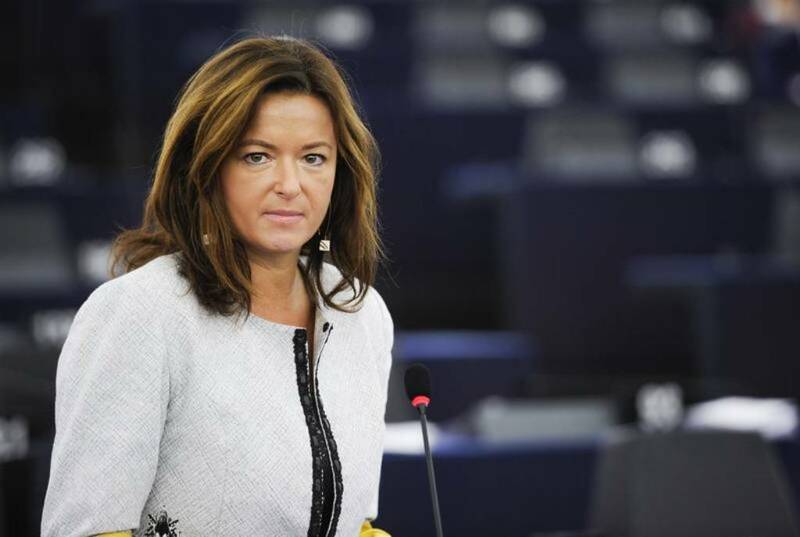 European Parliament rapporteur for the Visa Liberalisation process, Tanja Fajon declared from Brussels that she was disappointed about the lack of will to grant citizens of Kosovo the visa free regime and demanded from the institutions of Kosovo to address their requests directly to member countries and not EU institutions. Fajon said that Kosovo has delivered all the criteria, adding that “citizens of Kosovo deserve the liberalization of visas”. Fajon made these comments during the EU and Western Balkan conference hosted by Friends of Europe think-tank. “I’m sad and disappointed because Kosovo has delivered all the criteria. Citizens of Kosovo deserve the liberalization of visas, because they have done their part”, Fajon said. “As EU institutions, we have exerted a lot of pressure on the Kosovars in order for them to deliver the criteria. They have delivered these criteria and the commission has recognized this. As far as EU institutions are concerned, Kosovo has received the green light. Now it’s up to EU governments”, Fajon added. Fajon mentioned Germany and France being the two main countries which are blocking the visa liberalisation process. She said that on behalf of the European Parliament, along with MEP Kukan, they will write a letter in which they will ask member countries to approve the decision to scrap visas for Kosovar citizens. “The credibility of European institutions is at stake now. Member countries should realize this”, Mrs. Fajon said. Fajon also said that the Austrian presidency will not include the issue of visas as part of its agenda, while confirming that this will not even be part of the next Romanian rotating presidency of the EU. “This means that we’re wasting a lot of time”. “I shall raise this issue in the European Commission and address member governments with it. They haven’t kept their promise and we will continue to exert constant pressure”, Fajon said. The European Council is made up of the Interior ministers of the member countries, which should vote in majority for the liberalisation of the visa regime. According to Fajon, Germany and France are the main obstacles for this. A group of 22 MPs of the European parliament have requested on Tuesday that Kosovo be granted the liberalisation of visas without any further delays. In a letter addressed to the president of the European Council, Donald Tusk and the Austrian presidency of the European Union, MEPs say that the liberalization of visas will improve stability and will bring Kosovo closer to the European Union. Stressing the fact that Kosovo is the only country which has not been included in this regime, the European lawmakers say that this creates a feeling of isolation that has a direct impact on the daily lives of the citizens of Kosovo. The letter also mentions the fact that the European Commission had confirmed since July 18 that Kosovo had delivered all the criteria to be included in this regime and on September 13, with a majority of votes, the European Parliament supported the decision to scrap the visa regime for citizens of Kosovo. The first proposal made by the European Commission was made in May 2016, but the process was block due to the fact that the border deal between Kosovo and Montenegro could not be ratified. After three years of clashes in the Parliament of Kosovo and outside of it, the agreement was ratified in March this year. Everyone in Kosovo was hoping that this month, the EU Council of Ministers would discuss the issue in the meeting that will take place on 6 and 7 December, but this has not been included in the agenda of the meeting. This was also confirmed during the visit of the EU Commissioner for Enlargement, Johannes Hahn, who was in Monday in Kosovo to encourage Pristina to lift the 100% tax hike on Serb goods. Currently, citizens of Kosovo are the only ones in the Western Balkan region who need visas in order to travel to EU member countries, while next year, neighbouring countries will enter their tenth year of travelling without visas. The open letter was initiated by MEPs Tanja Fajon and Eduard Kuka. meanwhile, the letter was signed by Andrej Kovacev, Angelina Mlinar, Asim Ademov, Barbara Spineli, Brigit Sipel, Daniele Viotti, Dubravka Shuica, Eugen Freud, Heinz G. Beker, Igor Soltes, Ilhan Kjucuk, Ivo Vajgel, Jordi Sole Jozo Radosh, Knut Fleckenstein, Lukas Mandl, Mari Kristin Vergiat, Otmar Karas, Sofi in’t veld, Tonino Picula.